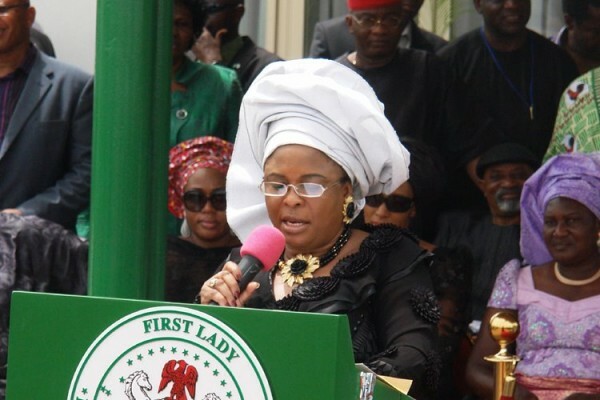 First Lady Patience Jonathan, yesterday joined other eminent Nigerians in extolling the virtues of Second Republic senator, Olusola Saraki, who died on Wednesday morning after years of battle with cancer. Saraki reportedly died in his Ikoyi, Lagos residence in the presence of close family members. In her statement, Mrs. Jonathan said, “Saraki’s death is a loss not only to the people of Kwara, whom he faithfully served for decades, but the entire nation, especially the political class. Saraki died in his house at 42 Cameron Road, Ikoyi, Lagos. His burial in Ilorin, the Kwara State capital, was witnessed by eminent Nigerians. Among the dignitaries present at his burial were the Speaker, House of Representatives, Aminu Tambuwal; minister, national planning, Shamsudeen Usman, who led the federal government’s delegation; Minister of Internal Affairs, Abba Moro; and the governor of the Central Bank of Nigeria, Sanusi Lamido Sanusi. Others were former Sports Minister, Jim Nwobodo; ex-minister of Defence, Haliru Bello, and ex-Gombe State governor Danjuma Goje.